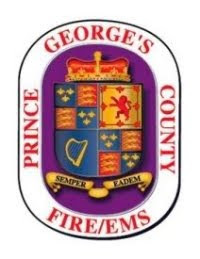 The Prince George’s County Fire/Emergency Medical Services (EMS) Department has placed in service a Rehabilitation Unit. The Rehab Unit is a temperature and atmosphere controlled response vehicle capable of providing medical care at the basic life support level and when available, at the advanced life support level. "Rehab Unit 800" was officially placed in-service on Sunday, January 7, 2017. The PGFD Rehab unit is a 2016 Pierce manufactured on a Freightliner M2-106 chassis. It is powered by a Cummins ISL engine with 330 HP along with a Detroit 12,000 lb. front axle and Meritor 23,000 lb. rear axle. The Rehab Unit is part of the Departments strategic vehicle replacement program and cost just under $500,000. The County purchased the unit through Atlantic Emergency Solutions. This unit is a specialized asset that may be requested to support a variety of incident types within Prince George’s County, the State of Maryland, and the National Capital Region. These incidents may include, but are not limited to, fires, hazardous materials (Haz-Mat) incidents, mass casualty incidents, medical rehabilitation on large scale incidents, alternate care site support, medical surge events, or as a medical treatment area for a large scale planned event. The unit is dispatched automatically to every significant long-duration incident, on all structure fires and whenever requested by an incident commander or EMS officer. The Rehab Unit’s primary function is to provide shelter and basic rehabilitation functions to members of the Fire/EMS Department during working incidents and/or incidents during extreme weather conditions. The Rehab Unit is currently assigned to the Capitol Heights Fire/EMS Station 805. Personnel assigned to this station include the core of the Rehab Unit Response Team and have adequate training to function in at least one role of the Rehab Unit Response Team. Prior to officially being placed in-service the first assignment for the Rehab Unit was to provide services at the scene of the apartment building explosion on Arliss Avenue in Silver Spring in August of 2016. Rehab 800 also provided cooling services for personnel participating in the IAFF Local 1619 Softball Championship in September of 2016 played in extreme heat and humidity. On both of these multi-day incidents the unit was not fully outfitted with all required equipment, however, was able to provide cooling to assist in keeping personnel healthy. The attached images were captured after an apartment fire in the 1900 block of Rochelle Avenue in District Heights on March 20, 2017. All personnel in images gave consent to be photographed. Every firefighter was required to go through a rehab process prior to leaving the scene. Vital signs are monitored and documented by members of the Rehab Unit Response Team. EMS transport unit personnel stand-by in the event someone needs transportation to hospital. Advanced Life Support equipment is ready if needed.